So I decided to switch it up a little today from what I was originally planning to share with you. But no worries that will come later. I wanted to share this one because it is super simple to make and I promise tastes soooo good. This Mushroom Bell Pepper Fajita can come together really fast without a lot of effort. This is one of my go to dinners that I make when I don’t have a lot of time in the kitchen. Although I practically live in there now. But wouldn’t have it any other way. I’ve been making these for a while now and they are actually inspired by a hoagie I used to eat years ago back before becoming vegetarian. I don’t even know if Steak and Hoagies are still around since I don’t eat there anymore. Does anyone know if they are? Anyway this requires very few ingredients and a little bit of chopping. All of my favorites which includes, onions, garlic, mushrooms, and bell peppers and you have a great fajita. I could go on and on about how good these are. 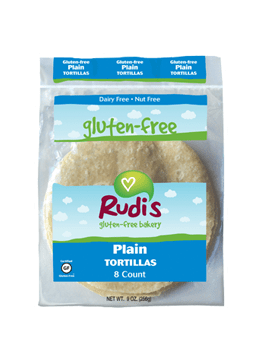 You can use your favorite wraps to make these but, since everything I make is gluten free just thought I would share my favorite wraps which are Rudi’s . So if tonight you need something quick and easy to make try these out. I don’t think you’ll be disappointed. They really are much yummier than the pictures actually portray. But I promise they are not lacking awesome flavor. But I must give my wonderful husband Scott kudo’s for taking these pictures since it is very difficult to get a good shot of fajita’s especially made with gluten-free wraps. Melt butter with olive oil over medium heat. Add onion, garlic, mushrooms, and bell pepper. Saute about 8-10 minutes. Add garlic powder, hot sauce, and season with salt & pepper to taste. Meanwhile warm tortillas in covered pan over low heat turning several times. Spoon mushroom, onion, garlic, and bell pepper mixture into center of wraps and top with favorite cheese. *you can use wraps of choice and depending on how big you make them this can do 2 -3 wraps. you could double recipe if you wanted to make more. **use any type cheese, but I find mozzarella or Monterey jack cheese to be good in these.